For those of use who don't know who you are tell us a little bit about yourselves? We are both trained chefs, Alex trained at Leith's and Stacey trained back in her hometown of Auckland! We both live in East London, with our Boston Terrier,Gus. Alex and I met in a hot sweaty kitchen in Hackney, East London. We bonded over our love of food - especially sweet things and with our powers combined, the Meringue Girls was formed! Out of all things that are out there why did you choose meringues? Cupcakes have had their time, now everyone is looking for the new thing. They're cute, they're bite size, they're low fat and gluten free - what's not to love!? You have some amazing flavours to offer, the G&T, Mojito and Passionfruit sound great, which are you favourites? Stacey's favourite is Manuka Honey - we fly the manuka honey powder in from NZ and the taste reminds her of home. Alex's favourite is chocolate, nom! 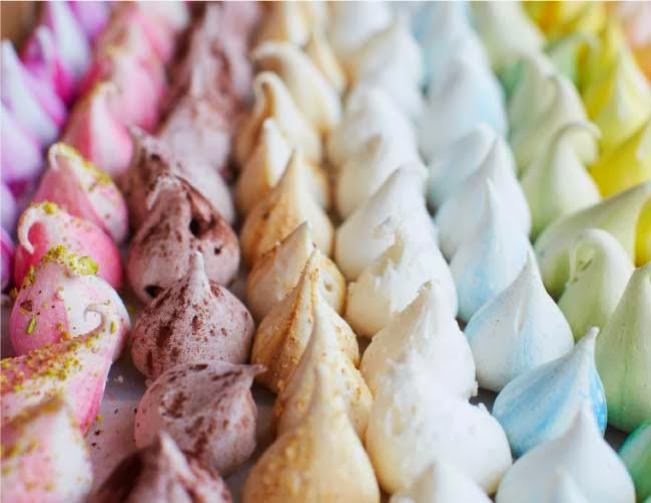 What are your top tips on how to create the perfect meringue? 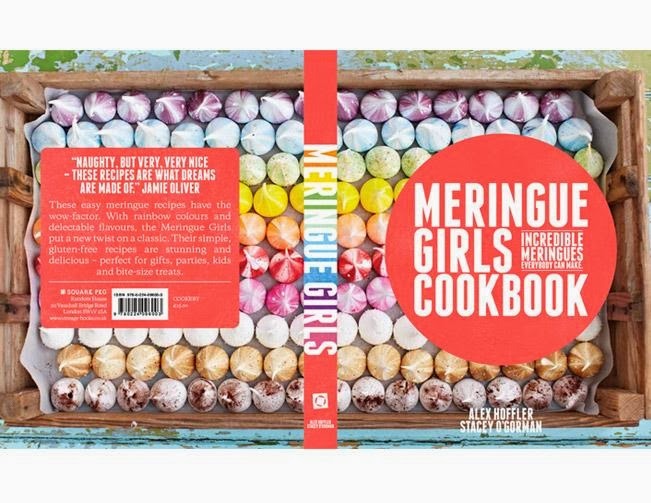 Our book offers the perfect guide to meringue making, we break it down so that it is super easy to follow and fail-proof. Always follow the recipe exactly, especially the oven temperatures as this is key in meringue baking, and always ensure the bowl is sparkly clean before you whisk any egg whites in it! I saw you on Paul Hollywood's new show Pies and Puds recently how was that? Is he as scary as he seems on The Great British Bake Off? It was amazing to be part of the show and we were really exciting about being a part of it. Paul is lovely really, he is a a Meringue Girl at heart. 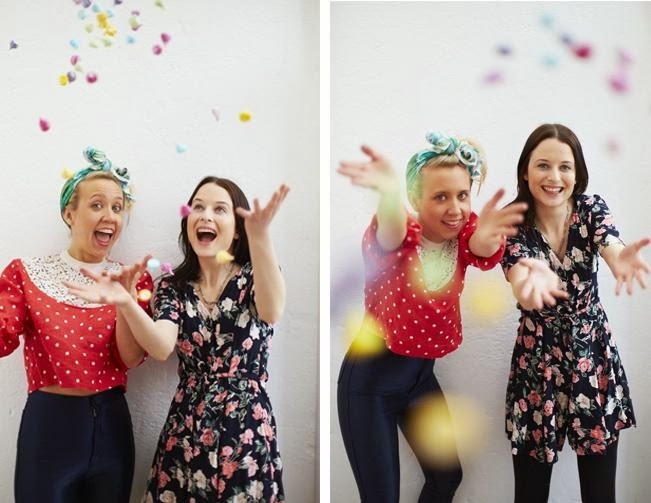 As well amazing creating some pretty cool meringues you both have great style, who are your favourite designers and what inspires you? Stacey lives in Doc Martins and Alex is more of a Nike Air Max kind of girl - our styles are really different but we still manage to share our wardrobes pretty much daily! We both like being unique and a bit crazy and colourful - like our meringues. You've been part of some pretty amazing things on your career so far, what's been your highlight? Highlights were definitely our first book launch and the amazing response we've had from people tweeting and instagramming pics of their baking from the book to us - it's so lovely to see what everyone's favourites have been. We are about to open our first MG Bakery in the new year which we are SUPER excited about, and also working on our next cook book, watch this space!! You can buy the girls book here!